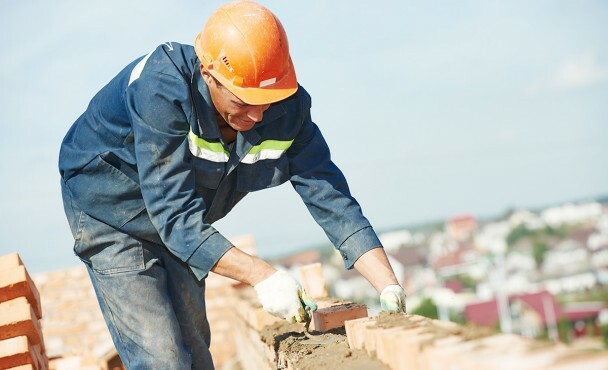 If you’re looking for bricklaying in Staffordshire, Andy and Staffordshire Brickies are an excellent choice; especially if you’re looking for a hard worker who doesn’t charge extortionate prices. He has over 30 years experience under his belt, having begun to learn bricklaying skills in the Cauldon College of Building, so you can guarantee expert ability and a good eye for detail. Whether you need a domestic or commercial project, Andy will be happy to discuss the job with you, give you a quote and get started when you’re happy with the plan. Some example projects range from conservatory builds to house extensions, so get in touch to find out what Andy can do for you. Bricklaying in Staffordshire is an industry where you need to choose wisely; from inadequate builds to extortionate prices, it’s easy to go with the wrong bricklayer and regret it afterwards. This is why Andy is so intent on keeping up his excellent standard of work, and always charges fair prices that will ensure you think of him for the next job. Andy has an excellent relationship with all of his previous clients, so having him in your home to fulfil all your bricklaying needs is sure to be more of a pleasure rather than a chore. Contact Andy to chat about your bricklaying needs and get a quote for the job. It’s difficult to know where to start without the knowledge and experience of a bricklayer, so Andy is happy to answer any queries you may have and hopefully get your project on track as soon as possible. Quality bricklaying services in Staffordshire is hard to come by for a reasonable price, but Andy and his team are readily available to cater to your bricklaying needs, no matter where your location! They’re situated in Silverdale, but travel the length and breadth of Staffordshire on bricklaying jobs, just as happily working on a project in Hanley as in Newcastle-under-Lyme. So whether your bricklaying needs stretch as far as Stafford or as near as Silverdale itself, get in touch and find out what Andy can do for you.